Elspeth Sandys has been a full time writer for the last 35 years. In that time, she has published nine novels, two collections of short stories and two memoirs. Her fiction focuses on relationships: personal, social and political. Some of her novels have historical settings, but the themes motivating the books are contemporary. Amongst numerous accolades, Elspeth’s novel River Lines (Hodder & Stoughton; Hodder Moa-Beckett, 1995) was a finalist in the 1996 Orange Prize. Her short story collection, Standing in Line (Secretariat of Culture of Jalisco, 2003) won the Elena Garro Pen International Prize. 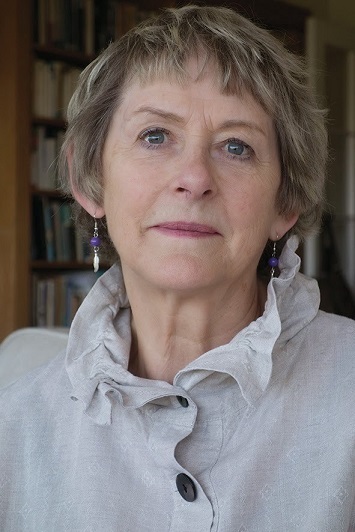 In 2006, Elspeth was awarded the Officer of the Order of New Zealand for Services to Literature in the Queen’s New Year Honours. Elspeth has written extensively for the BBC and RNZ, both original plays and adaptations, as well as a number of film and television scripts. Her stage plays have been performed in England and New Zealand. She has worked as a creative writing teacher, editor for Oxford University Press, and ghost written (with John Man) several non fiction works including, A State of Blood and The Survival of Jan Little. Currently domiciled in New Zealand, Elspeth returns regularly to the UK, where she raised a family for over 20 years. She has an MA (First Class Hons) in English from Auckland University, an FTCL in Speech and Drama from Trinity College, London, and an LTCL in Music, also from Trinity College, London. Elspeth, whose novel Obsession was published in 2017 by Upstart Press, has recently completed a nonfiction work celebrating the life of her cousin Rewi Alley of China. Entitled A Communist in the Family: Searching for Rewi Alley, it will be published in April 2019 by Otago University Press. Elspeth has short stories in numerous anthologies.